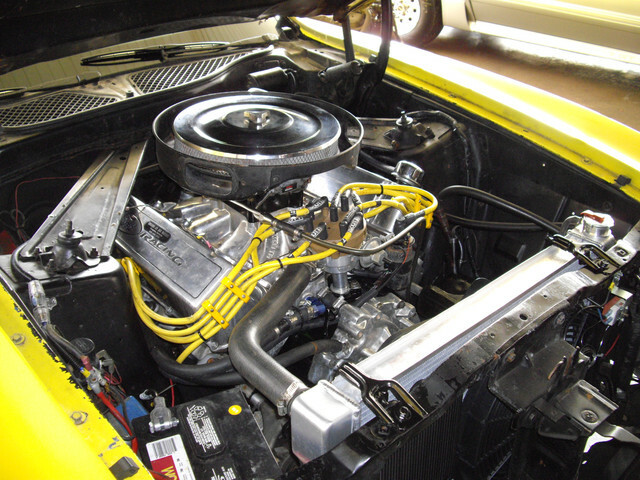 Looking at a 2F05H that has had the 3512V replaced with a 460 built by Joe Mayabb out of Campton, Kentucky. It was imported into Australia about 4 years ago, never been registered or driven here and that's about all I know. A bit of rust in the trunk and some bog in the driver rear quarter, backyard traction bars and sub-frame connectors. 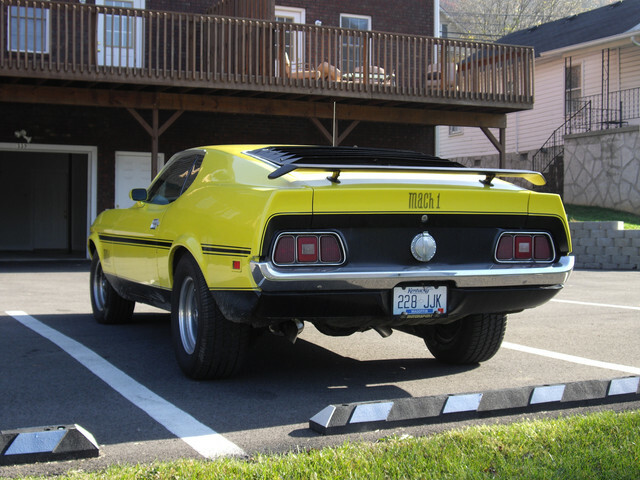 Anyone familiar with this Mach 1? This is not the original colour, looks like it was originally Grabber Blue. mickus, what info are u looking for ??? are u wanting to contact the orig owner ??? i don't think posting his name here is good but if someone in his area can just look him up in phone book or google it.. if someone can help u keep it in a P/M message. Thanks Bill, yes, any personal info please PM me. 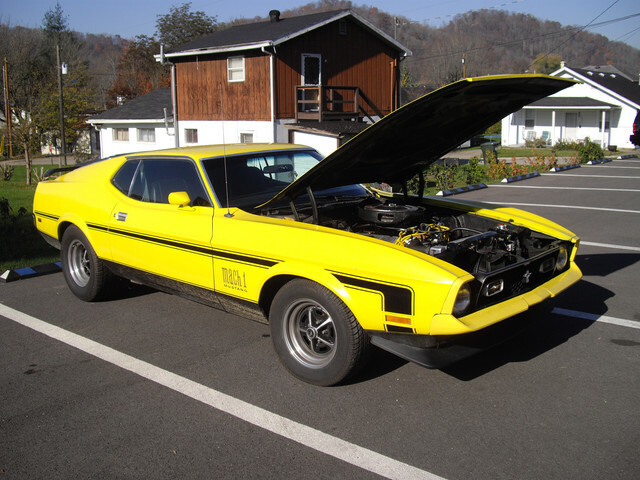 I'm just after any info anyone might have about this Mach 1, if anyone is familiar with it. Was optimistically hoping someone would say "Hey Mickus, I owned that Mach 1 and it is a killer! We had to replace the rear quarter when I backed into a camel, couldn't see it through the rear window! The Joe Mayabb 460 made 625hp on the dyno but I only drove it to church on weekends, actually that's where I hit the camel. There were 3 of them being ridden by men with beards!" After watching this 4.98/146 1/8 run 20 times I found his email address and emailed him. Joe jnr answered my email about an hour later and told me that his dad, Joe snr, had installed the crate engine and shared some more info with me. So, I headed out to take another look at this 72 Mach 1. This time with the tools to get her started. A new battery and a kick in the guts and she fired first time. What a beast, C4 with full manual shift kit and she smokes up in 3rd when you plant it doing 60! Well, it's yellow, so it's gotta be good.